Welcome to the Home Matters Link Party, networking for homemaking bloggers! Every week (Wednesdays at 6:00am Eastern Time), you can link up your favorite posts with us for everyone to see. Please link up your matters of the home such as: home décor tips and tricks, DIY, homesteading, homeschooling, child rearing, frugal living, sustainability, organizational tips. Here is a recap of what I’ve been up to this summer. 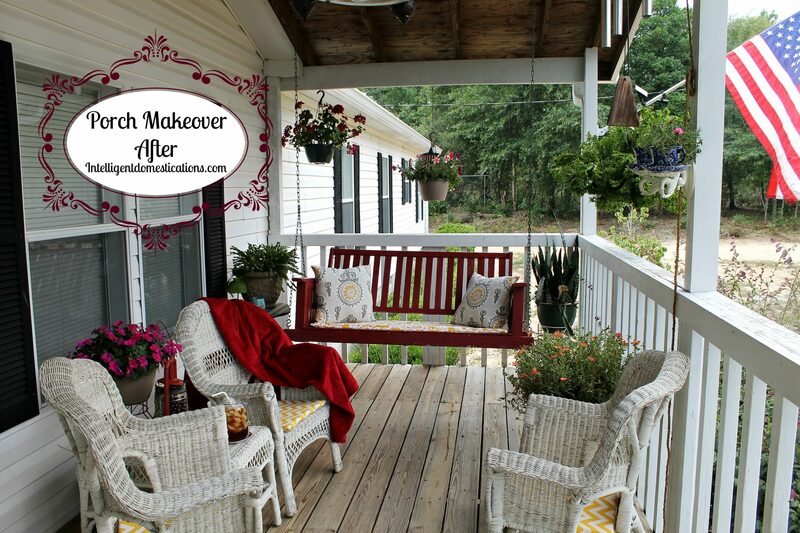 We did a Makeover Project on our front porch which involved some smaller projects within the big project! It was a lot of fun! 1. Follow all of the hosts on some form of social media. 2. Link back to this party in some way, in the posts you shared or Share our button on your sidebar or on your party page. If we love your awesome post and we can verify that you have done those things, you could potentially be a Featured Posts! Note: This is a family blog, so please be respectful when linking and commenting. Heather, thank you so much for joining the party! We are so happy to have everyone here for the first one. Now, on my way to check out your Christmas Cookie Swap. We used to host one every year. It was an amazing amount of fun! Thanks for hosting! Following all you ladies through twitter now!! Thanks for linking up with us Leilani! Glad to be able to share your beautiful posts at the party! So excited about your new party, Shirley! I wish you all much success! If I didn’t have so many ‘irons in the fire’ I would have joined you all. But I’ll be linking up every week! Thank you for linking up that adorable Lampshade project, Alli. It is very unique!